I received a few comments the other day on a picture that I posted on Instagram and Facebook so I thought I would dedicate what I am loving Wednesday to my top five beauty products.These are a few of my must have beauty products. I am a neutral kinda girl and these hues reflect just that. Please let me know what you think. 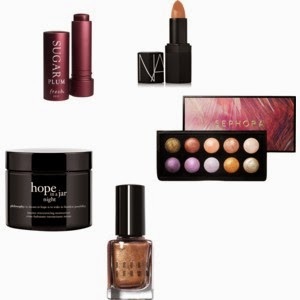 What are some of your favorite fall/winter beauty products?